Gigantic unicorn pool floats are cool and all, but we’ve just discovered a pool accessory that caters to our one true love in life — wine, duh. 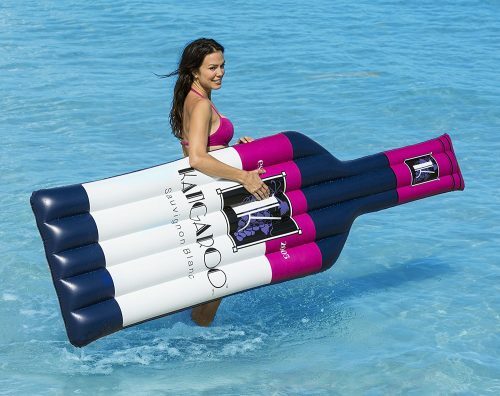 This Bottle of Wine Pool Raft has us dreaming of Summer afternoons in the sun — with a real bottle nearby. This inflatable raft is 7.5 feet long and looks comfortable (and uber Instaworthy) as heck! 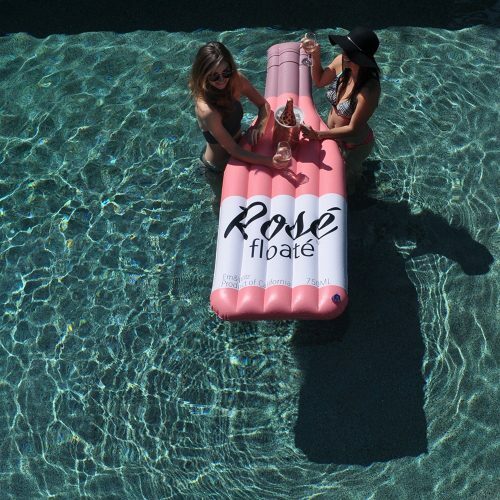 Read on to snag your own wine bottle pool float before it sells out on Amazon, and then keep browsing to see a few of the other alcohol-related raft options the internet has to offer. 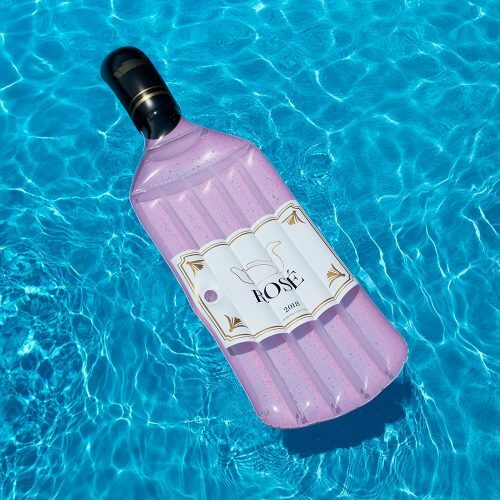 This millennial pink Rosé Wine Bottle Float was made for Instagramming. 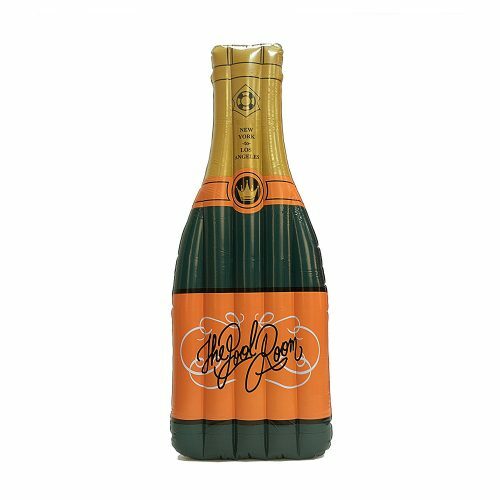 Relaxing on this Champagne Bottle Pool Float will definitely get you in the mood for some bubbly. 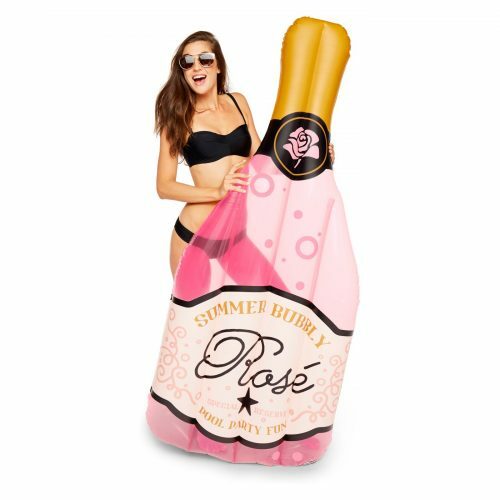 Guys, this Rosé Bottle Pool Float even has little bubbles on it. How cute! Be the center of attention at birthdays, housewives parties, or any summer pool events! Get this uniquely designed Rosé Float and show off to your friends.